Long ago, I was entering the dressing room of my favorite store, Anthropologie, and spied a lamp. Actually I don't remember much about the lamp itself. It was the shade that drew me. It was covered in bits of torn paper, but not just any paper. It was mellow, beige pages from an old dictionary. The staccato serif font looked like it'd marched out of a typewriter's clacking and I wondered at how there are lamps that light your room and there are lamps that whisk you elsewhere. Maybe that's why people call good work "inspired." Because the artist must have been and now, you are. I hunted for the price tag out of sheer curiosity but don't remember what it said. The goal of my visits is mainly to glean ideas, not offer up our month's grocery budget, so I made a mental note. 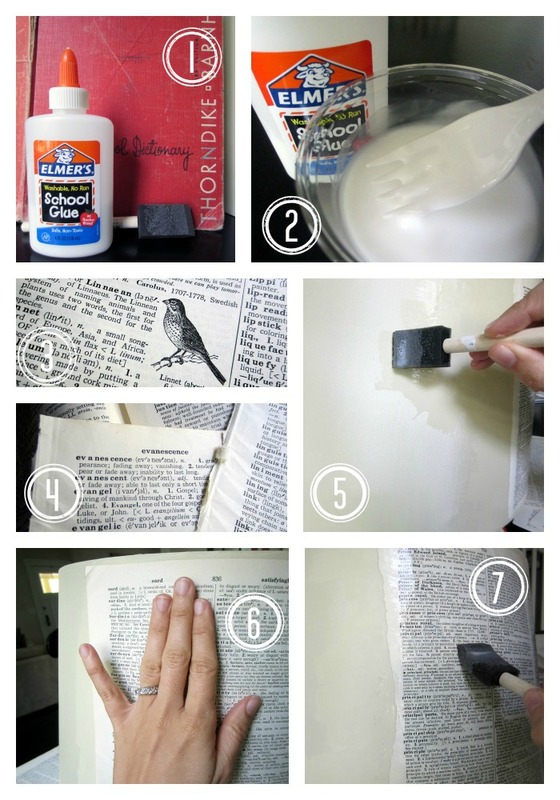 Pinterest opened my mind to the world of Modge Podge and told me it could be made by mixing equal parts water and Elmer's glue. So when I picked up a dictionary at a garage sale, I was ready to go. This is what I did the other day. You could use sheets of music or vintage picture books, as well. with it, I'd have used an old jelly jar to make it easy to store. 2. Mix equal parts glue and water. It looks like egg drop soup for a while, but don't panic. After mine sat around a while it got smoother. but are reminded of all the best and beautiful, since that's what matters. 4. Favorite words. I let the kids each pick one too. She chose princess and he chose lizard. 5. Cover the part of the shade you're going to work on with glue. light isn't necessary, the other version is lovely as well. Here's how mine looks. P.S. This is one of the little projects I'm attempting to finish up before the photo home tour I promised. Hopefully the others will go as well as this one! 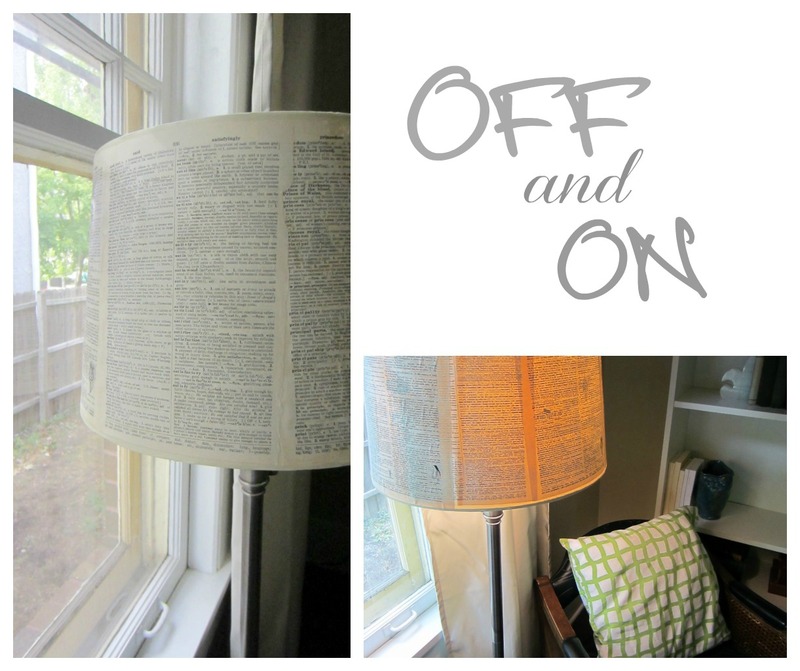 A reading lamp you can read!!! Ingenious!